Below is an example from his Song Book, there are in total over 60 Native American Songs in the book and they are all in the format as below. They have the musical score and the Nikai Tab score for those of us who do not read music but can follow finger hole placements. This comes in PDF file format for you to download and print out if you want to. This Song Book is only 4.5MB in size, therefore it will be emailed to you at the email linked to your paypal account. Feel free to copy the example but the quality will not be as good as it is in the PDF file and if you would like a FREE good quality copy of this example then email me at tdw103@live.co.uk and I will send you one via return email. If you came here from Ebay and you are looking for a Flute but I have none for sale at the moment, you can always commision a flute from me through Ebay, I am always open to negotiation on the price so contact me through Ebay. Here are a few feedback left on Ebay for me. Below is this song being played by myself on an Oak and Willow flute in the key of F#. 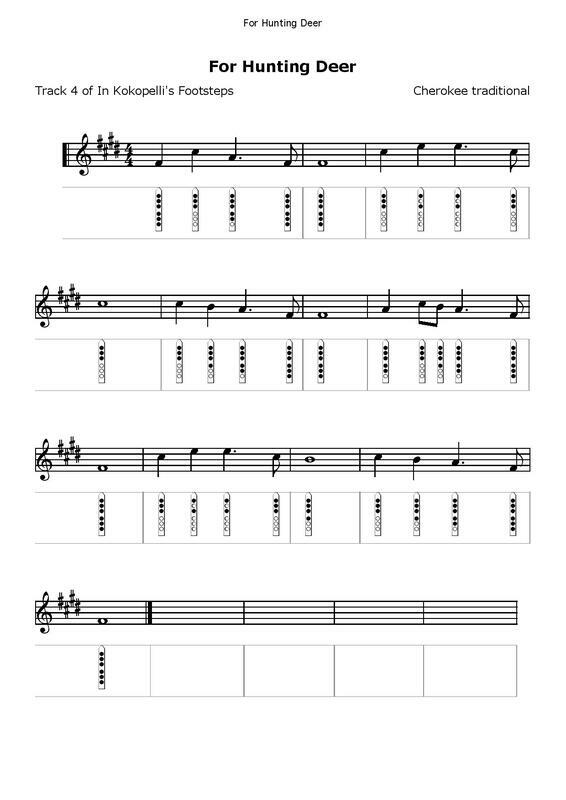 Below is the "Generated Sound File" for the above song.